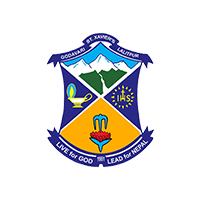 St. Xavier’s School, Godavari has classes from Grade 1 to Grade 12. Grade 1 to 6 has 3 sections of 40 each in a section. Grade 5 to Grade 10 has two sections each. Grade 11 and 12 has two sections (Science and Management). From Grade 5 onwards, the average students in a section are 45 and no section exceeds a maximum of 50 students. The total strength of the school is 1250 students of which 689 are boys and 561 are girls. The following table gives a clear idea about the present student strength of the school.